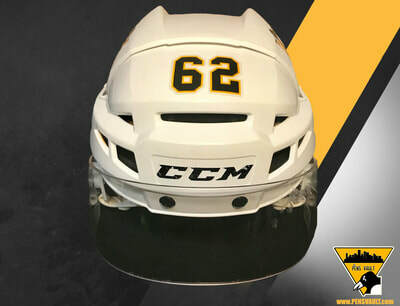 This CCM V 08 helmet was used by Carl hagelin during the 2015-16 season. It was originaly worn as the home (vegas gold) helmet. 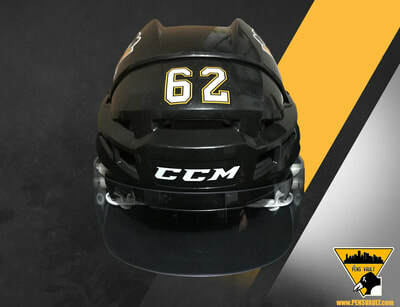 The equipment staff later converted to the new Pittsburgh Gold colorway. 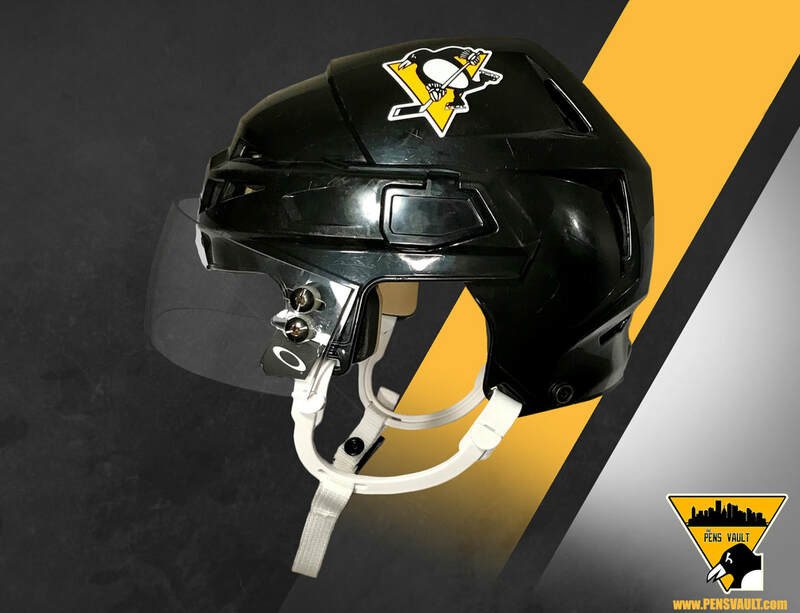 The helmet is photo matched to a scratch on the left side of the helmet. 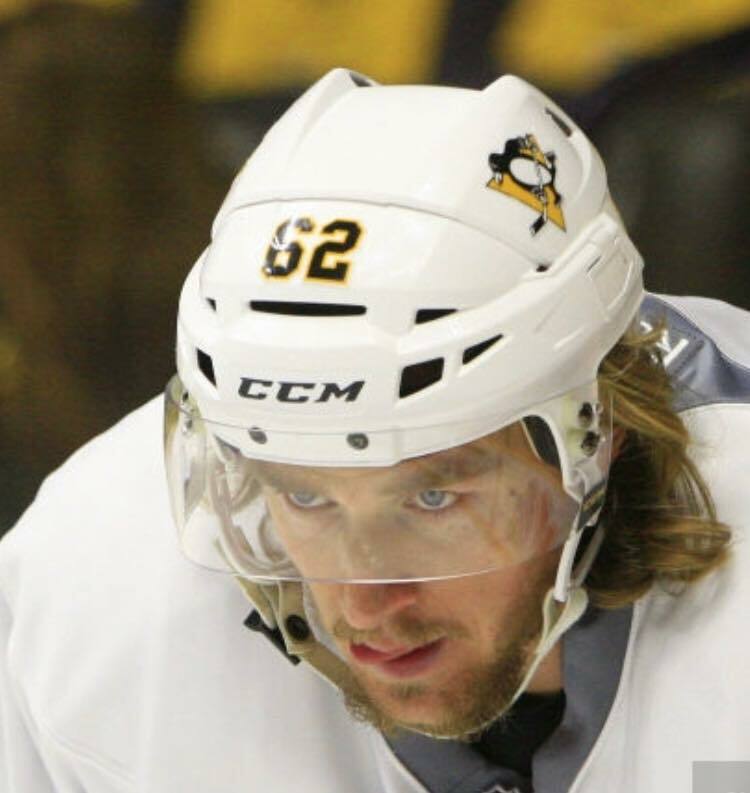 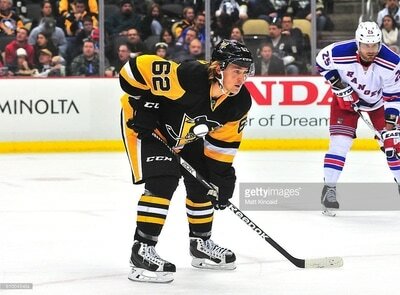 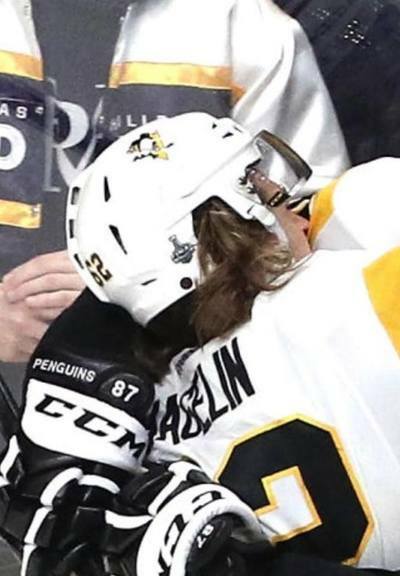 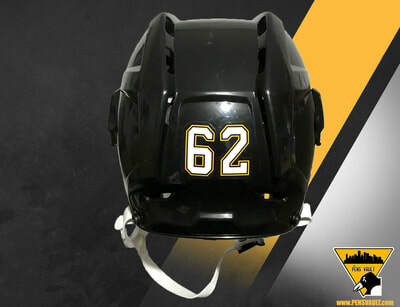 Hagelin's number 62 is affixed to the front and back of the helmet, along with the Penguins logos and NHL decal. 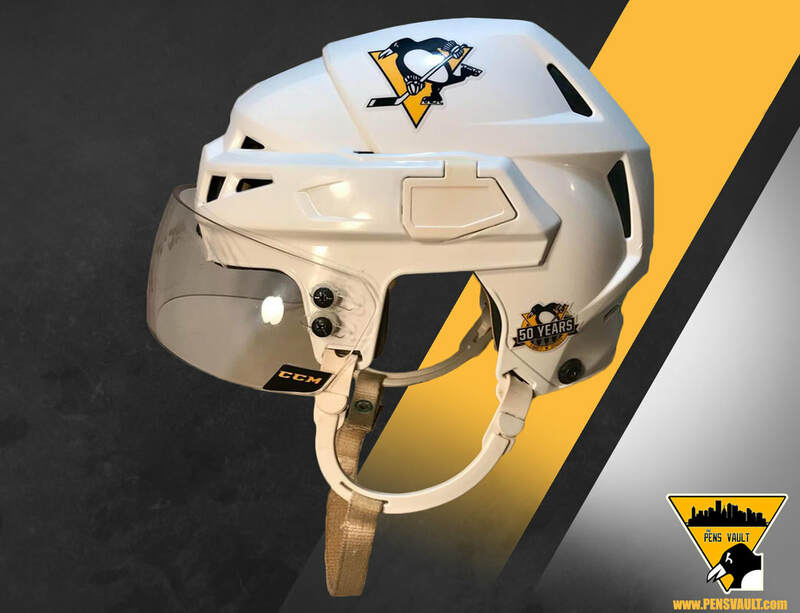 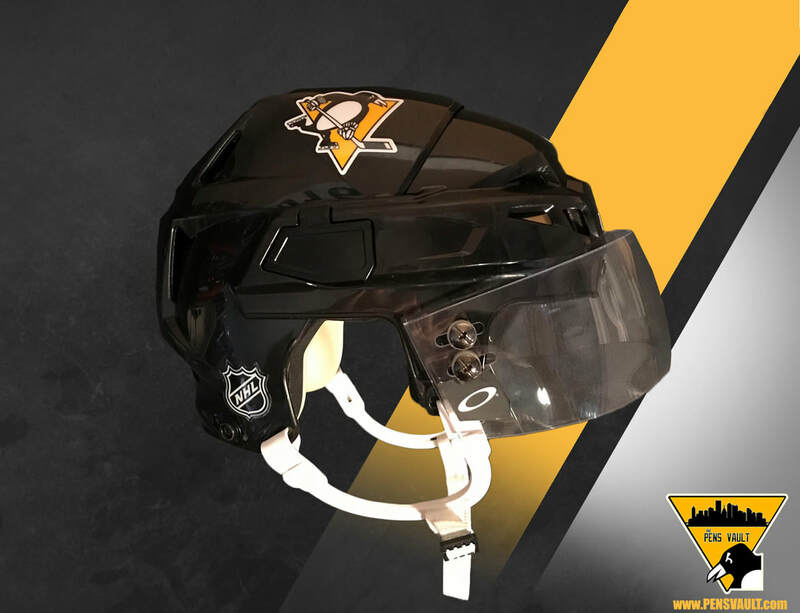 This CCM V-08 helmet is an exact replica of the one used by Carl Hagelin during the 2017 Stanley Cup Finals. The helmet is a pro stock CCM V-08. The CCM visor was acquired from the Penguins. All helmet decals are team issued decals. The helmet features the Penguins logo on each side as well as Hagelin's number 62 on the front and back. 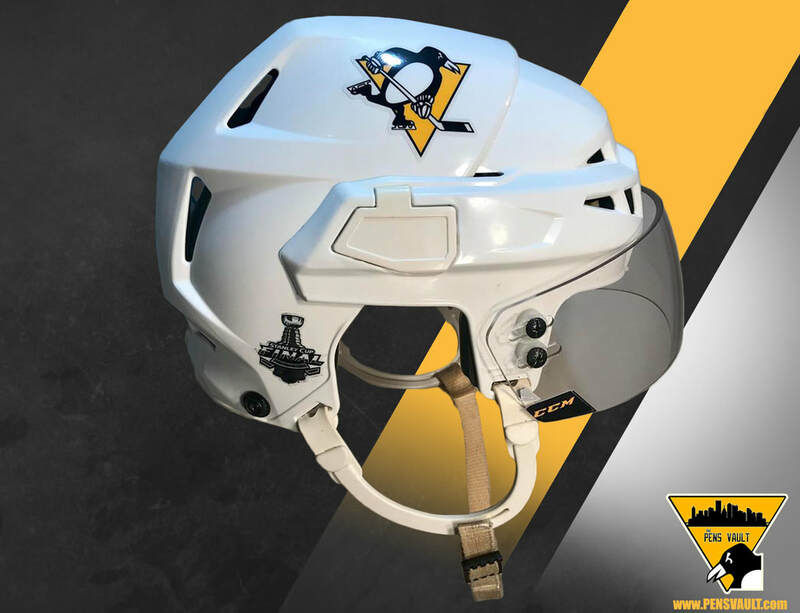 The Stanley Cup finals decal and Penguins 50th Anniversary decals are on the back right and left respectively.